In the abstract of geopolitical discussion, it’s easy to forget that, when you talk about states breaking or nations splitting, you’re talking about large groups of people suffering unbelievable trauma. I just watched this, from Aleppo in Syria, which details what seems to be a ballistic missile strike in a neighborhood (and it’s just as graphic as it sounds). Doubtless there is a deep trauma happening here; doubtless people are changed forever by this; doubtless they will tell their children what it was like surviving a missile attack. Trauma is part of our biological hardwiring. It teaches us not to do something in order to survive. On a mass scale, trauma teaches mass lessons and allows societies to build. But to get there, the trauma must be deep, lasting, and widespread. The missile attack affected and traumatized a small neighborhood. Its lessons remain localized. But the civil war in general is a trauma affecting the entire nation of Syria. Its lessons are yet to be seen. One of the biggest traumas ever to hit civilization was World War II. 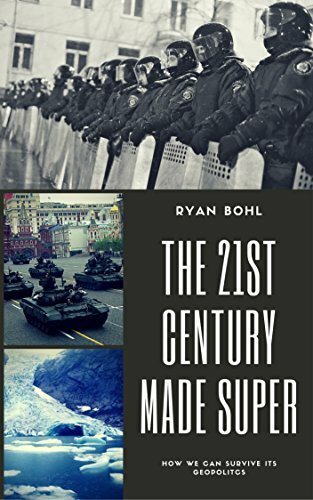 From it, societies learned that racism, imperialism, aggressive conquest, and industrialized warfare were ineffective ways to ensure security and immoral ways to run societies. Societies also learned how to conform to achieve national goals; how to sacrifice for a nation-state; plus how to unite in the face of outside aggression. However, places that missed the war often missed those lessons. The Great Depression prevented our recent Great Recession from spiraling out of control. Why? Because we’d already learned what not to do. As awful as it was to bail out banks, we knew that failing to do so would hurt a great deal more. Industrialization changes a society in a massive way, as well. People who used to live in wide open spaces working at their own pace are forced into cramped conditions where they no longer dictate their daily lives. You can tell the difference between the two; the rugged individualistic farmer vs. the overworked and stressed out factory worker. From the factory worker, you get your modern office drones. This is not human nature. It’s conditioned by economics. Imperialism died out because it grew inefficient, but it also died out because, out of the horrors of World War II, few Europeans were willing to kill natives the way their grandfathers did. They’d become civilized, and so when it became clear they weren’t wanted, they went home. From the twin pillars of industrialization and World War II, developed nations learned how to function in the modern world. Much of the developing world is now undergoing a form of industrialization, and so tribes, local cultures, and other identities are being crushed under the weight of the conformity that such an economic system demands. But few of these places suffered World War II. In neither region did World War II go very far. Local cultures have dim memories of the event, and certainly no grandfathers who can tell stories of finding concentration camps or coming across mass graves. As horrible as what’s happening in Syria is, these atrocities have been committed before, somewhere else, within the developed world. We know from cultural memory that they’re terrible. Syrians are, alas, learning firsthand the evils of this kind of war. Their society after the war will be fundamentally different. Individual rights will probably matter a great deal more than tribal or family rights. A war with Israel will be far less appealing. Egypt is too facing this down now. They haven’t learned that peaceful cooperation is better than the murderous power politics they’re playing. Remember that developed nations of today invented and then tried out Nazism, communism, and imperialism; they’ve got the memory that those things are bad ideas. Egypt does not. So Egypt will now learn the hard way. But it’s one reason why developed nations that go poor are less likely to become violent than developing ones. Having your hand burned on the stove hurts; you know better the second time around. Alas, for much of the world’s population, they’re burning their hands right now.